My mother-in-law makes this amazing breakfast casserole and I have been meaning for months to get the recipe from her. Well, I finally did and we had this for dinner this Sunday. It was amazing! It’s so easy and versatile. You can add whatever breakfast meat or vegetables you’d like. 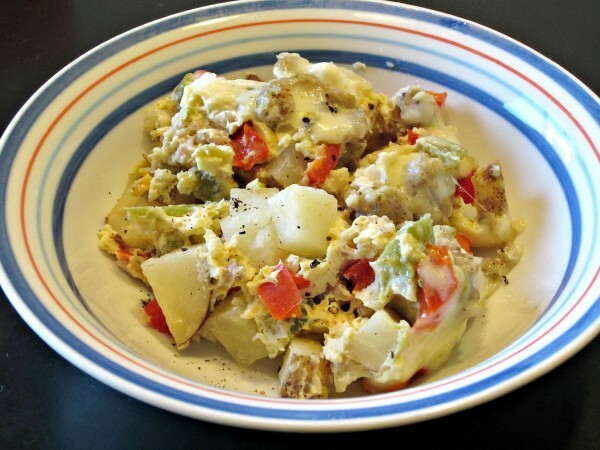 You layer on hash browns (or diced potatoes), breakfast meat, vegetables and cheese. Then you top it of with eggs. 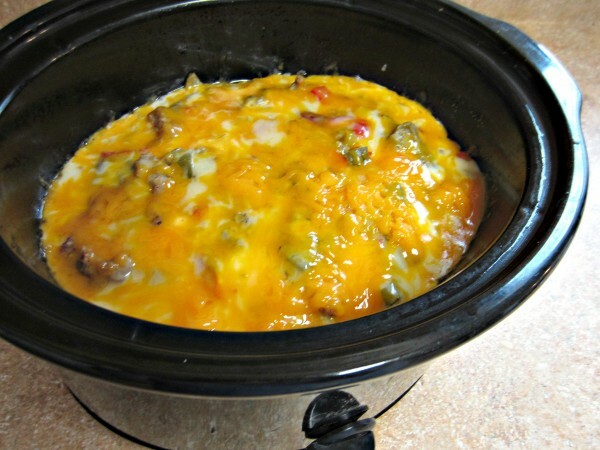 It’s one of my favorite breakfast casseroles. I love how good it tastes! You add the top layer of cheese right before it’s ready. Delicious! *Update: I made this again and instead of using hash browns I diced up potatoes, (left the skin on) and it was even more delicious! I highly recommend it! 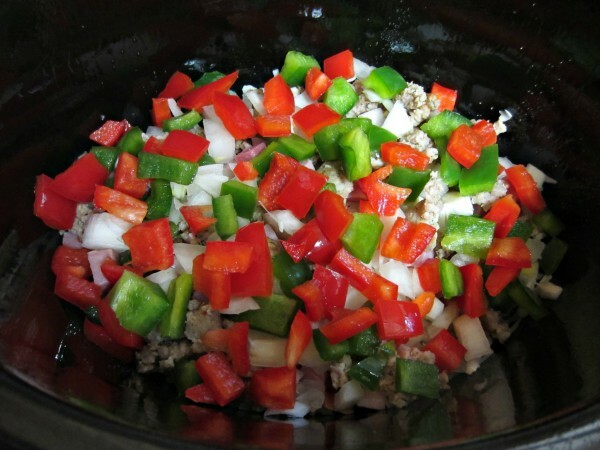 Spray crock pot with non-stick cooking spray. Layer the ingredients in this order, diced potatoes or hash browns, dash of salt and pepper, meat, vegetables, green chilies and cheese. Repeat twice but on the second layer don't add the cheese yet. In a medium bowl, beat together the eggs, milk, salt and pepper. Then pour over the layers in the crock pot. Cook on low for 5-6 hours. Right before serving remove any liquid from the top of the casserole then spread grated cheese on top the last few minutes of cooking. Serve when melted. I love breakfast casseroles. I found you through Your Homebased Mom. I ziplisted this. Thanks!